YELOfon HD5 is a lightweight, easy to cut and install non-cross polyethylene foam, specifically designed to reduce impact noise through concrete floors with a floating screed. 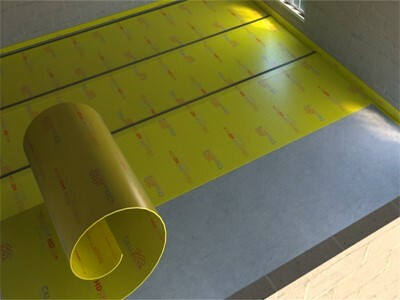 When used in conjunction with Cellecta HEXATHERM XFLOOR and DECKfon Ultralay 5 it is Robust detail E-FC 8 compliant Supplied in lightwight rolls, they are incredibly easy to handle and lift on sight. There thin composition also make them incredibly easy to cut on site, allowing for quick and simple installation.This represents significant benefits over rubber based flooring products that are typically heavy and cumbersome to install.